According to Moody’s, the Egyptian banking system is stable, due to the country’s improving economy. The rating agency expects domestic economic growth to pick up and loan performance to remain broadly resilient. Banks in Egypt will also benefit from a stable deposit base. For anyone considering a banking career in Egypt, this list of top banks in Egypt is a helpful guide on where to start. To learn more, see all our list of financial institutionsCompaniesLists of the main players in corporate finance. We've got lists of the most important financial services companies, banks, institutions, accounting firms, and corporations in the industry. Browse these guides to prepare for a career in financial services and start networking today to accelerate your career. Established in 1977, Credit Agricole provides retail, corporate, and investment banking services. The bank operates through various segments: Investment, Retail, and Asset and Liability Management. Based in Cairo, it is a subsidiary of the Crédit Agricole Group. It employs around 2,340 people and oversees 79 branches. As of 2016, total assets of the bank were US$2.62 billion and net profit was US$101.20 million. Incorporated in 1982, HSBC Bank Egypt is a subsidiary of HSBC Holdings Plc. In 2001, it changed its name to HSBC Bank Egypt S.A.E. from Egyptian British Bank. The bank conducts its operations through Small, Medium. and Large Enterprises, Investment, Individuals, and Other Activities segments. It manages 60 branches and seven small units. Based in Cairo, it employs around 1,800 staff. As of 2016, total assets of the HSBC Group amounted to US$857 billion. In 2017, net profit of HSBC Bank Egypt was US$305 million. Founded in 1957, Alex Bank operates as a subsidiary of Intesa Sanpaolo S.P.A. Headquartered in Cairo, the bank employs around 4,700 staff and manages 210 branches in Egypt. In 2016, the bank reported total assets of US$3.91 billion and a net profit of US$85.88 million. Qatar National Bank is a subsidiary of Qatar National Bank (Q.P.S.C.). Established in 1978, the bank operates through four segments: Corporate, Investments, Individuals, and Other Businesses. It oversees a network of 215 branches and 450+ ATMs and 17,000+ POS machines across the country. It employs around 6,000 staff and serves around 970,000 clients. As of 2016, the bank’s total assets were US$10.70 billion and net profit was US$238.68 million. Incorporated in 1975, Commercial International Bank is one of the main private sector banks in Egypt. The bank provides retail, corporate, and Investment banking services in the country. It carries on its operations through four segments – Corporate Banking, Investment Banking, Retail Banking, and Others. Based in Giza, it operates 174 branches employs around 6,000 staff. In 1987, the financial services company, formerly known as Chase National Bank of Egypt, changed its name to Commercial International Bank (Egypt) S.A.E. As of 2016, the bank’s assets totaled US$14.96 billion and net profit amounted to US$337.72 million. Established in 1898, the National Bank of Egypt is the oldest of banks in Egypt. The bank offers retail, corporate, and investment banking services. 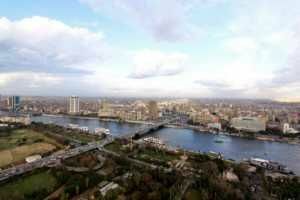 With around 16,200 employees, it is headquartered in Cairo. It oversees 413 branches and 3,823 ATMs across the country. It also maintains branches in New York and Shanghai, as well as representative offices in Johannesburg, Dubai, and Addis Ababa. In 2016, the bank posted total assets of US$63.20 billion and a net profit of US$595 million. Arab Banking Corporation was formerly known as Egypt Arab African Bank (S.A.E). Founded in 1982, the bank is responsible for issuing and managing savings certificates for the government. It operates 28 branches and 94 ATMs in the country. Based in Cairo, it employs around 500 staff. As of 2016, total assets of the bank were US$713 million and net profit was US$7.42 million. Based in Cairo, Banque de Caire operates as a subsidiary of Banque Misr and offers retail and commercial banking services in the country. Incorporated in 1952, the bank oversees 150 branches in the country. As it operates as a subsidiary, assets and revenue details are unavailable. Banque Misr was established in 1920. The bank provides corporate, retail, investment, and Islamic banking services in Egypt. It manages 511 branches across the country and employs around 14,000 individuals. In 2016, the bank reported total assets of US$20 billion and a net profit of US$592 million. Founded in 1978, Bank Audi operates as a subsidiary of Bank Audi S.A.L. Formerly known as Cairo Far East Bank SAE, the bank changed its name to Bank Audi SAE in 2008, following its acquisition by Bank Audi SAL Audi Saradar Group. It manages a network of 45 branches and 128 ATMs located throughout Egypt. As of 2016, the bank’s total assets amounted to US$36.39 million and net profit reached US$1.24 million. 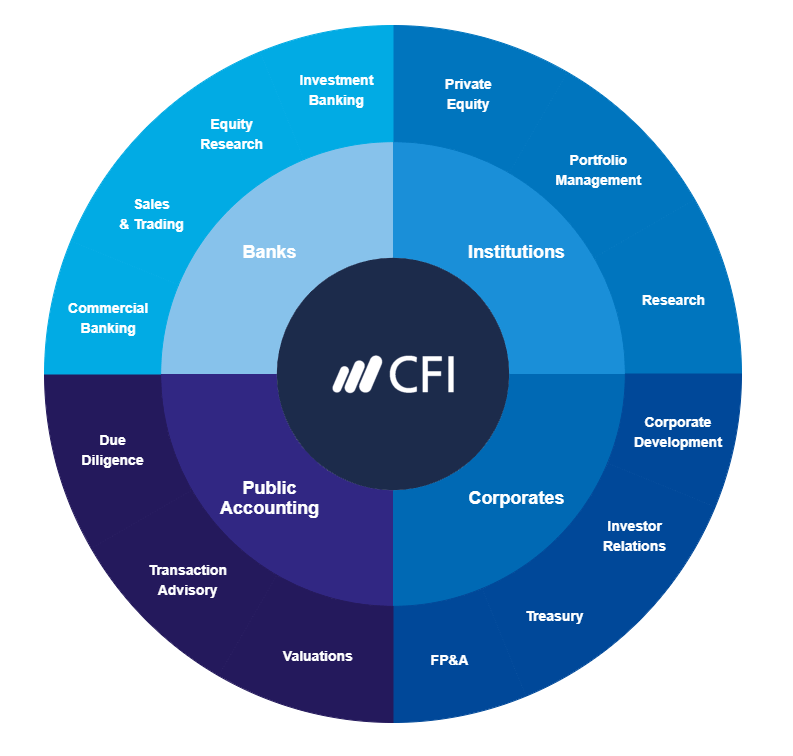 This has been CFI’s guide to the top banks in Egypt. For anyone looking for a career in banking, this list is a great place to start your networking. You may also want to consider CFI’s Financial Modeling and Valuation Analyst (FMVA)FMVA™ CertificationThe Financial Modeling & Valueation Analyst (FMVA)™ accreditation is a global standard for financial analysts that covers finance, accounting, financial modeling, valuation, budgeting, forecasting, presentations, and strategy. designation to boost your resume and career path! Top banks in Saudi ArabiaTop Banks in Saudi ArabiaThere are 24 licensed banks in Saudi Arabia, consisting of 12 local banks and 12 branches of foreign banks. The Saudi Arabian Monetary Authority (SAMA) is the kingdom's central bank, oversees the operations of commercial banks in Saudi Arabia.